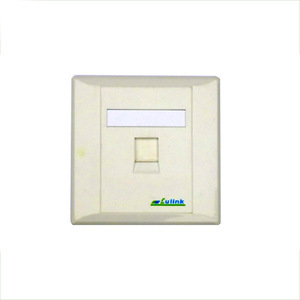 Zhejiang Dongpu Electronic Technology Co., Ltd.
Shenzhen Idealink Network Technology Co., Ltd. In this way, we can provide you with high-end products, competitive price and superb service. Inthis way, we will make your import process very smooth and pleasant. If the inquiry is complicated, we will reply you the second day. 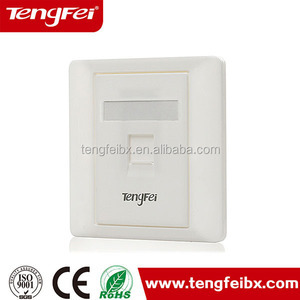 Shenzhen Tengfei Wings Technology Co., Ltd.
Shenzhen Glory Technology Co., Ltd.
Shenzhen Youte Electronic Co., Ltd.
Cixi Tom Network Technology Co., Ltd.
Shenzhen Xin Xin Da Communication Technology Co., Ltd.
Guangzhou Brothers Lin Electronics Co., Ltd.
Shenzhen Aixton Cables Co., Ltd. 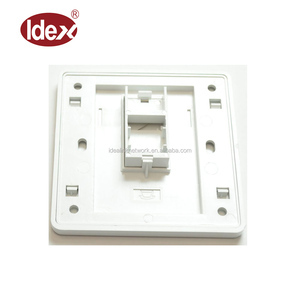 Provides single-port, dual-port and tri-port 86&times;86 series national standard products. 7). The central panel adopts matte surface and is not easily scratched during construction; 8). Conforms to national application features and used together with 86-typed national standard bottom case. is the professional manufacturer of Cable and wires, network and communication equipment and accessories system in Ningbo China. 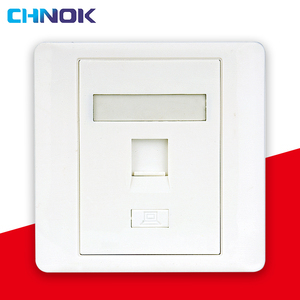 Highest quality products and sincere service are our purpose, Perfect design and Resonable price are predominance. We do believe in the win-win suitation for building up long-term business relationship. Welcome OEM project Product pictures: There are so many types for you to choose from,any help you need,contact the sales person here,thanks! We integrate the development and research, production and sale of copper systerm, fiber optic system and cable assembly. We endeavor to develop new products at a high speed to meet your needs, and also provide the solution for design the project. 4.Perfectly install into the decor of your home or office. 5.Protects and hides your network connections. 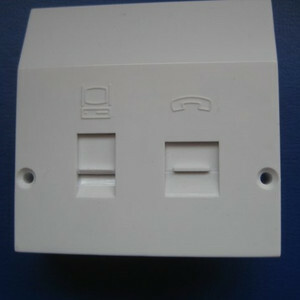 6.Accept all kinds of keystone jack inserted. 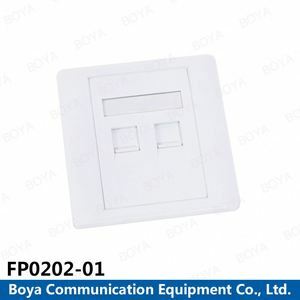 Alibaba.com offers 206 cat5 faceplate products. About 39% of these are telecom parts, 4% are wall switches, and 2% are fiber optic equipment. 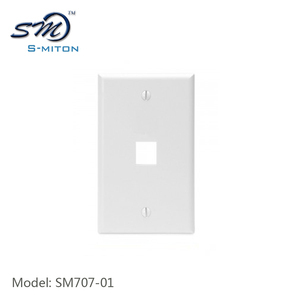 A wide variety of cat5 faceplate options are available to you, such as free samples. 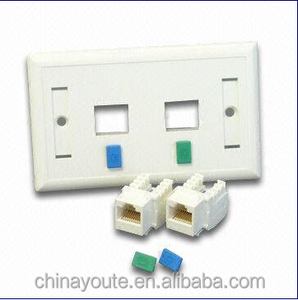 There are 126 cat5 faceplate suppliers, mainly located in Asia. 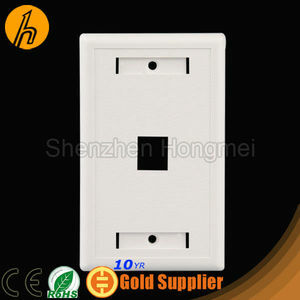 The top supplying country is China (Mainland), which supply 100% of cat5 faceplate respectively. 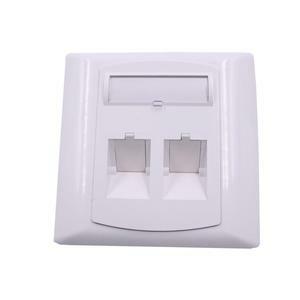 Cat5 faceplate products are most popular in North America, Western Europe, and Mid East. You can ensure product safety by selecting from certified suppliers, including 68 with ISO9001, 28 with ISO14001, and 1 with Other certification.